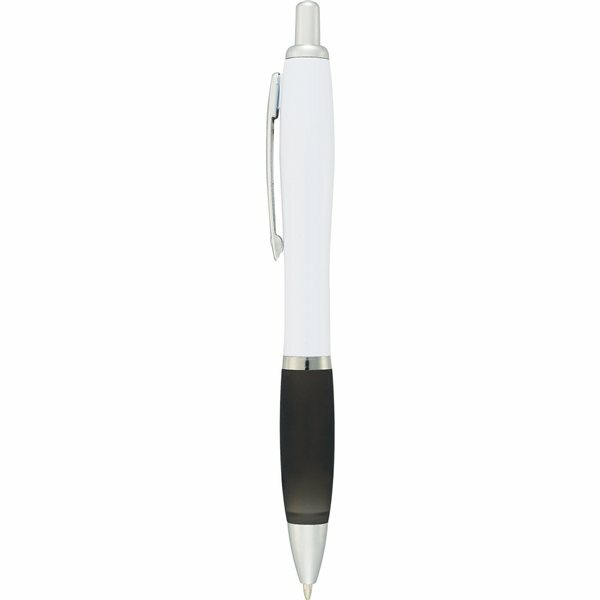 Gloss white barrel with colored pro-grip for writing comfort. 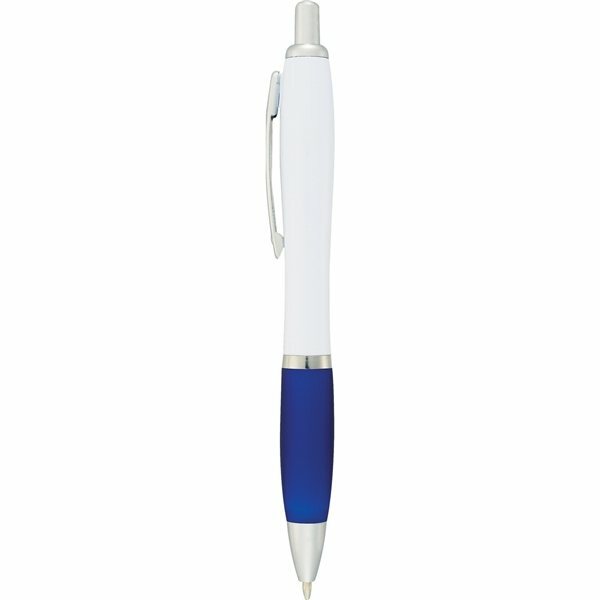 Retractable click action mechanism, blue ballpoint ink cartridge with tungsten carbide tip. Top quality pen for the price!!! Your pens appear to become a very good product your money spent. Logo looks fine. the size was just right and the quality was good. Colors are bright and eye catching. The pennants came out fine and were well accepted. Awesome product and great quality! Everyone loves this gift. which is always fun. Staff works with you to choose an imprint that is perfect for your needs.